“An iconic ‘Kangaroo Crossing’ sign in Columbus was removed by the city this morning,” wrote WOSU reporter Gabe Rosenberg, “and it’s all my fault.” But if Clintonville residents get their way, the story of the sign is far from over. Solidarity signs and stickers have begun popping up in windows and on lawns within and beyond this Ohio neighborhood — there is also an online petition and a crowdfunding campaign to get the sign reinstalled. 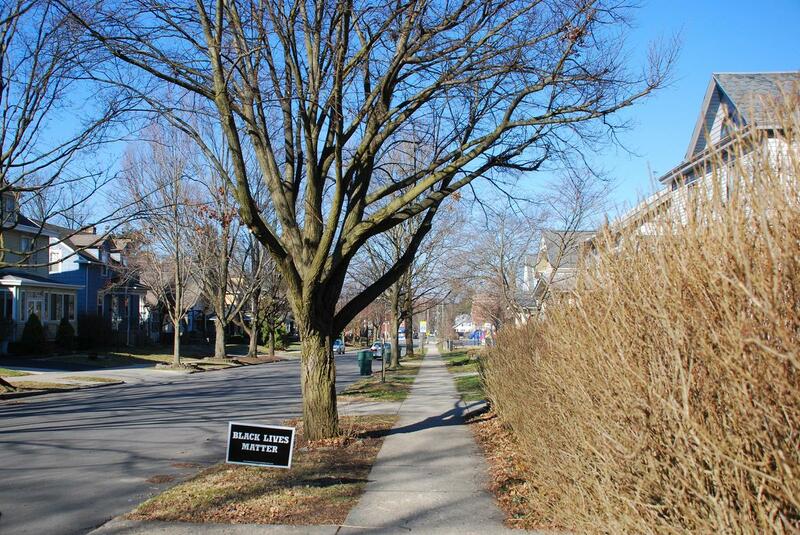 Perhaps the strangest part of the saga is that no one seems to have actually wanted the sign removed. Its existence was long known to police officers and city officials, and it was beloved by residents. Everyone Rosenberg spoke to expressly approves of its presence. 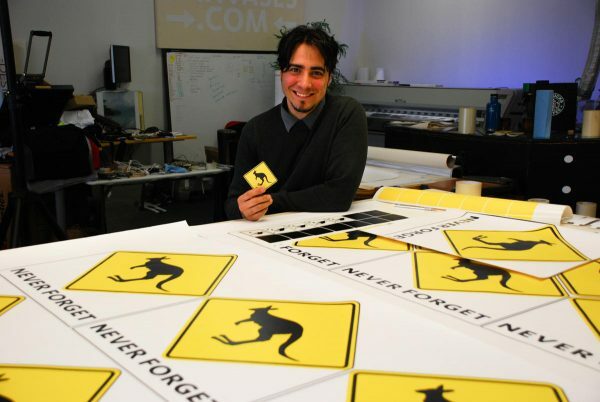 The Columbus Department of Public Service, though, regulates and maintains traffic signage, typically issuing permits and installing animal-crossing signs based on accidents related to a given species. Naturally, they could find no reports of such incidents related to kangaroos. So when WOSU reporters began to inquire about its origins, the city took it as a complaint, and workers were sent to take the sign down. 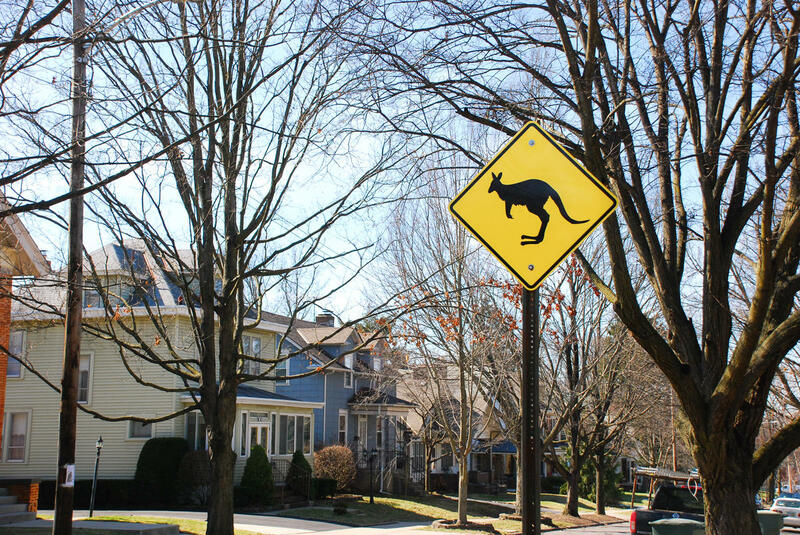 Different theories have been floated about its history and origins (to be clear: there are no wild kangaroos in Columbus). 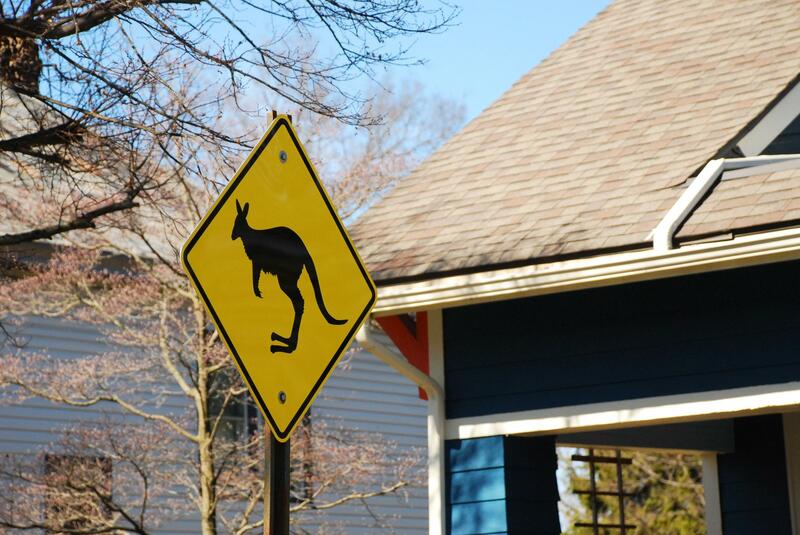 Some neighbors trace it back to an area resident’s trip to Australia. 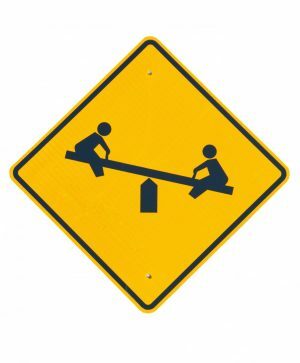 Others assumed it was put up as a goofy alternative to the classic “Children at Play” sign — a way to get the attention of drivers and encourage them to slow down. This latter explanation actually has some truth to it, as it turns out. In fact, the sign dates back to a demolition project from 2014, when a post and “Construction Entrance Ahead” warning was erected. After the project was finished, though, no one took down the sign, and residents couldn’t figure out how to remove it effectively. So Jared Laughbaum, an area teacher, took it upon himself to creatively convert it instead. The argument for bringing it back is fairly simple: the sign brings joy to people, and maybe slows down cars as an added bonus. Also, on the flip side, it does no harm to the city or its citizens, so: why not? In a way, the matter has become one of local pride, and the kangaroo a kind of mascot. 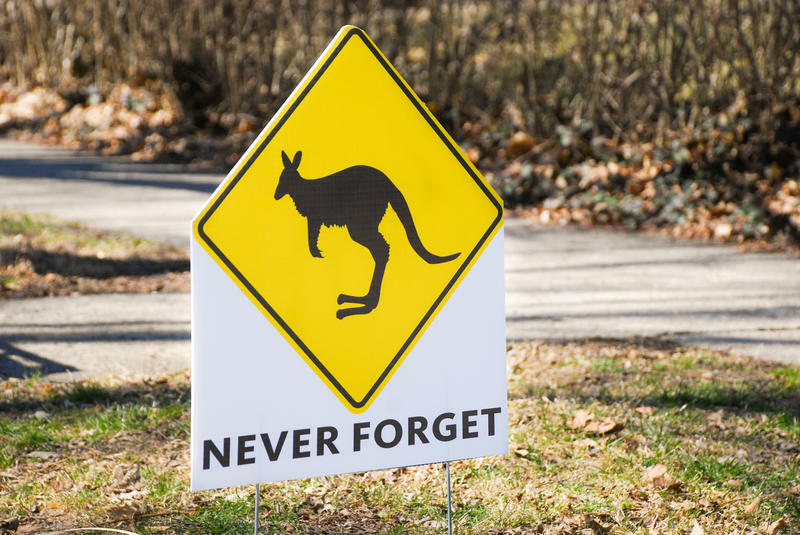 The online petition is ambitious, aimed at garnering “support for the Kangaroo Crossing to be deemed the official symbol of Clintonville.” The sign, it continues, “has become a symbol of civic engagement, creative problem-solving, local government bureaucracy, and perseverance within our neighborhood” and has “inspired a level of participation in the community that would be a missed opportunity to not harness in a positive fashion.” Even if the petition fails, and the sign is not ultimately reinstalled, the money raised through GoFundMe may be given to a local historical society and the sign could be put it up in another location (such as the local elementary school). In the end, much like banning a book can get people reading it, the removal of the sign has done more for its popularity than its largely passive presence. This sign dispute also raises questions about the relationships of cities and their citizens, and the role of playful, creative and unusual infrastructure in the public spaces we all share. Special thanks to 99pi fan Gabe Rosenberg for tipping us off to this story! As an Australian this bothers me that this is the wrong kangaroo silhouette on the sign. The legs are just. Wrong. Perhaps when it’s replaced they can work off a real photo of a kangaroo? first thing i noticed andrew. probably the reason it was taken down in the first place! These signs have been part of any long drive since I was a lad. They scored one point, kangaroos ‘sleeping’ by the side of the road were worth two points, and live roos on the roadway (ie between the vegetation or between fences where there are fences on either side) counted between 20 and 50 points depending on where and when you were travelling.